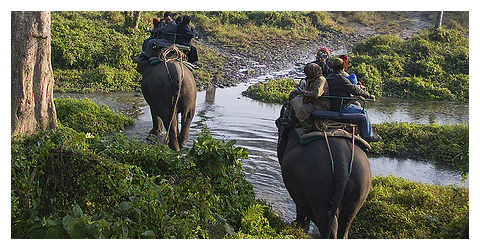 Jaldapara Wildlife Sanctuary is situated at the foothills of Eastern Himalayas in Alipurduar Sub-Division of Jalpaiguri District in West Bengal. The river Torsha flows through this rain forest sanctuary and have an area of 141 Sq.km and altitude of 61 m. Jaldapara, the vast grassland with patches of riverine forests was declared a sanctuary in 1941 for protection of the great variety flora and fauna, particularly the one-horned rhinoceros, an animal threatened with extinction. The Jaldapara Sanctuary covers 216 sq km, is a mosaic of woods, grasslands, perennial streams, sandy river banks and extensive belts of tall grass. It contains a great diversity of flora and fauna of mixed deciduous forest, grasslands and river banks. The Malangi River also flows nearby from east to west. Drained by rivers Torsa, Malangi, Hollong, Chirakhawa, Kalijhora, Sissamara, Bhaluka and Buri Torsa, the Sanctuary provides extensive grassland which is last refuge to a wide variety of mammals, amphibians, reptiles and birds.